Karthus bot lane isn't particularly new, but generally speaking players like to put him in a solo lane to speed him to level six for his game-changing ultimate. However, after Patch 8.23 more players are opting to put him bot lane instead. His kit lends itself very similar to the role that marksmen play, and his current strength makes him a very viable pick. Check out how to do it below! Compared to marksmen in lane, Karthus has a stronger level one and a stronger level two than most marksmen if he's hitting isolated Lay Waste [Q] shots. Meanwhile, if he picks up his Wall of Pain [W], he reduces his mana regen but greatly increases his kill pressure. Placing Karthus in the bot lane allows him to increase his chances of hitting Dark Harvest procs as a result of having two champions bot lane. If you manage to kill one, the rune reset also gives him a ton of burst and may result in a double kill. Placing Karthus bot lane is extremely valuable since it allows him to farm freely and avoid would-be assassins mid like Talon or Leblanc. While enemy bot laners still have kill potential, combining Karthus with a peel support like Sona, Karma, or Rakan gives him a ton more survivability. This build skips Rod of Ages and Archangels, instead relying on high burst damage to take down enemies quickly coupled with a support. 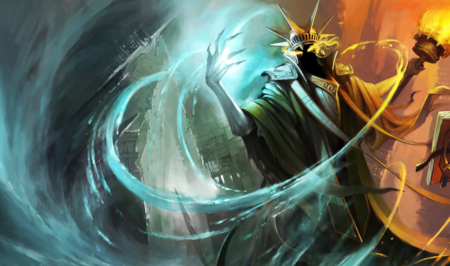 It makes Karthus a bit more of a glass cannon, but puts him in largely the same role as any other marksman. While Luden's will provide a decent amount of mana regen, early game Karthus may find himself running out of mana if the enemy laners are pushing hard and he needs to retaliate by pushing lane as well. Karthus' wall is an excellent disengage tool, but once enemies jump on him he has little in the way of survivability and will need to mostly rely on his support. This build is especially squishy and is prone to being camped. Before you can start pressing R and one-shotting squishies, Karthus needs to land significant Q's in order to deal similar damage as marksmen. As a result, players may find difficulty against highly mobile champions like Vayne or Lucian. One role of marksmen is to chip turrets from a range. As a result of his weak auto attacks and low range, this isn't exactly Karthus' forté. Karthus in his current state is easily viable enough to be a bot laner. On paper he looks fine, and is good if your team is lacking magic damage. 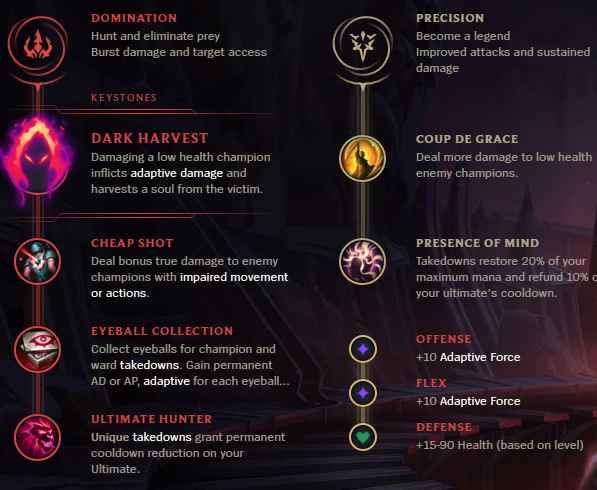 On the other hand, it could very well be just because he's incredibly powerful right now with the new Dark Harvest rune. Time will tell!